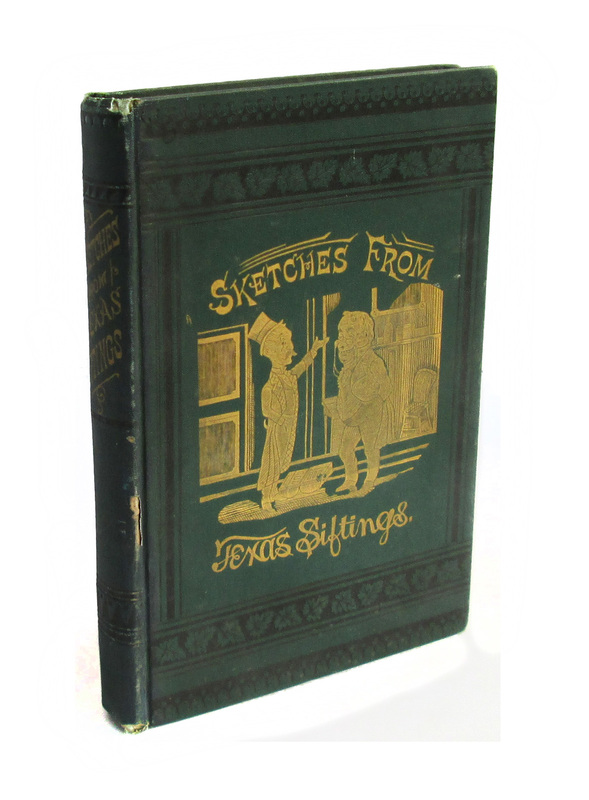 This antique hardcover book has a dark green cloth cover with decorative black etched borders, detailed gilt cover illustration and lettering, gilt spine lettering. 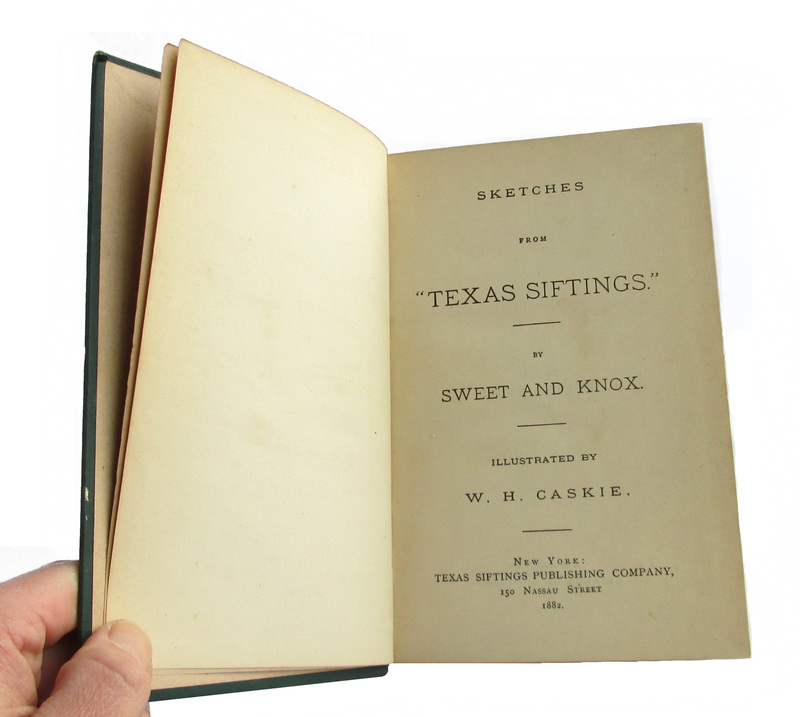 "Texas Siftings" was a popular illustrated periodical; this book contains selections from the magazine. 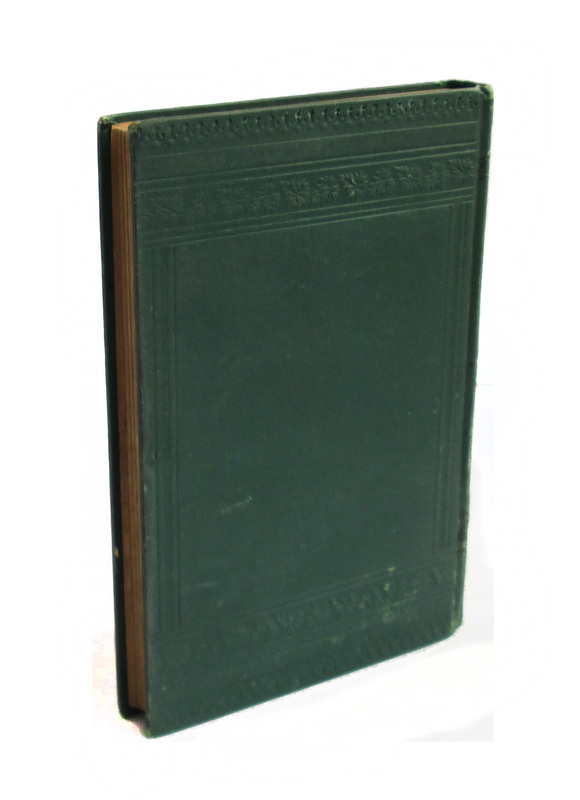 Printed bookplate on front inner board reads "Library of Albert P. Brandt, Walton, N.Y., no. 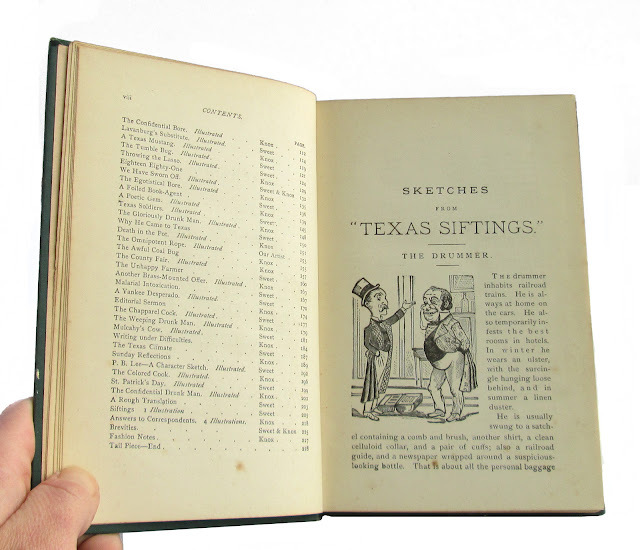 43", and his name is written by hand on front endpaper; else clean, binding tight. Contains short humorous pieces illustrated with cartoons. 228 pages; approx. 5"x7".